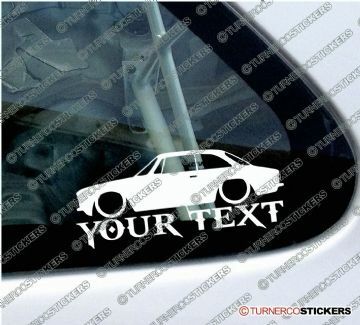 2x Alfa Romeo 105 / 115 GTV Coupe personalized classic car stickers. 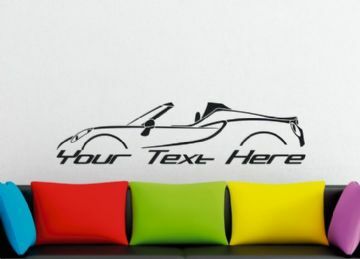 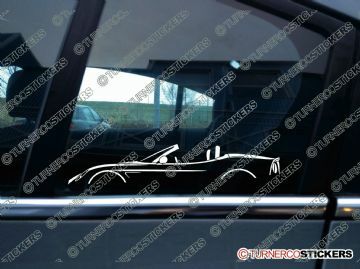 2x Alfa Romeo 147, years 2000-2004 personalized car silhouette stickers. 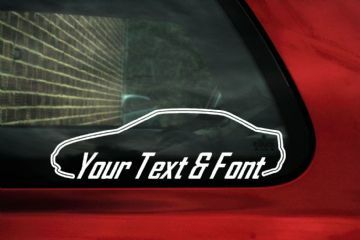 2x Alfa Romeo 147, years 2000-2004 personalized car stickers. 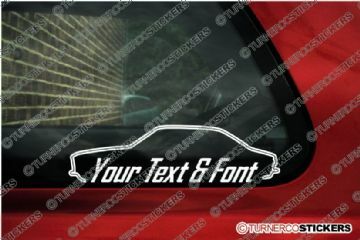 2x Alfa Romeo 155 Q4 personalized car logo silhouette stickers. 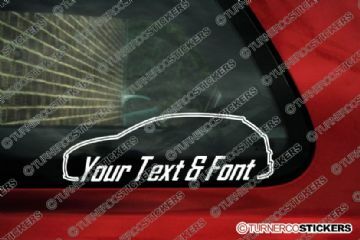 2x Alfa Romeo 155 Q4 personalized car logo stickers. 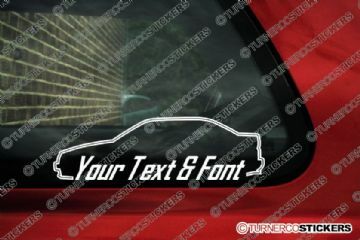 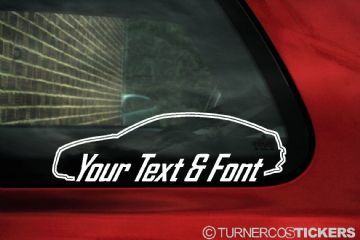 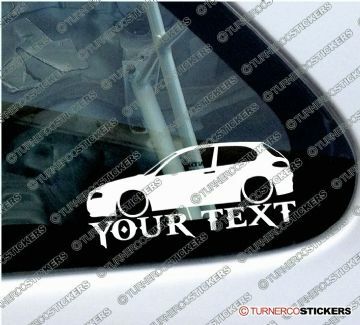 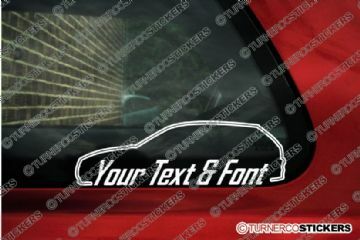 2x Alfa Romeo 156 saloon personalized car silhouette stickers. 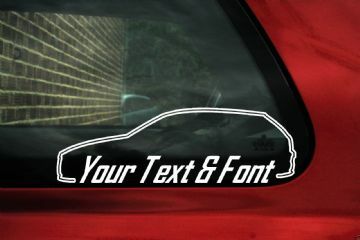 2x Alfa Romeo 156 saloon personalized car stickers. 2x Alfa Romeo 166 personalized luxury car silhouette stickers. 2x Alfa Romeo 166 personalized luxury car stickers. 2x Alfa Romeo GT Coupe personalized car logo silhouette stickers. 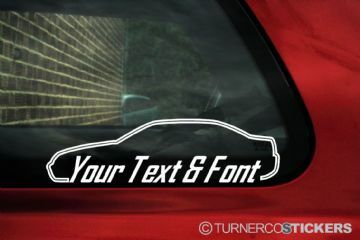 2x Alfa Romeo GT Coupe personalized car logo stickers. 2x Alfa Romeo 105 / 115 GTV Coupe personalized classic car silhouette stickers. 2x Alfa Romeo MiTo personalized car logo silhouette stickers. 2x Alfa Romeo MiTo personalized car logo stickers. 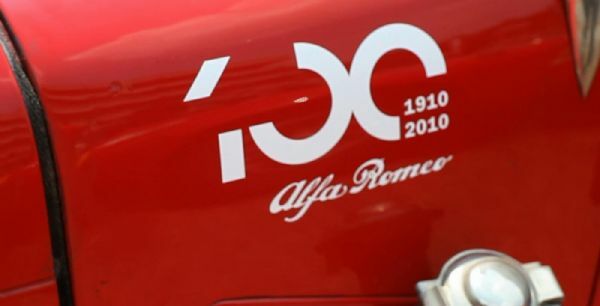 "Alfaholic" sticker in the Alfa Romeo logo style script ideal for enthusiasts.